With Lottoland South Africa, South African residents (18+) can now bet on the Spanish Christmas Lottery which takes place on 22 December. With its €2.3 BILLION BILLION prizepool, it’s the BIGGEST lottery in the world. And while the official Christmas Lottery is available only to residents of Spain, with Lottoland South Africa, instead of entering the draw, you place a bet on the outcome of the draw. If you predict the Christmas Lottery winning numbers, you’ll be paid out as you would have had you entered the official draw and win all the exact same main prize values, including the jackpot.. The chances of winning are fantastic! 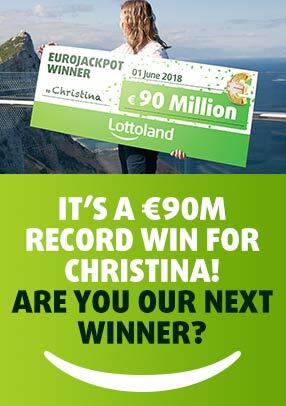 Over 1800 numbers are picked to win a prize between €1,000 and €4 million, and even if you don’t win, there’s a massive 1-in-7 chance of winning a prize!